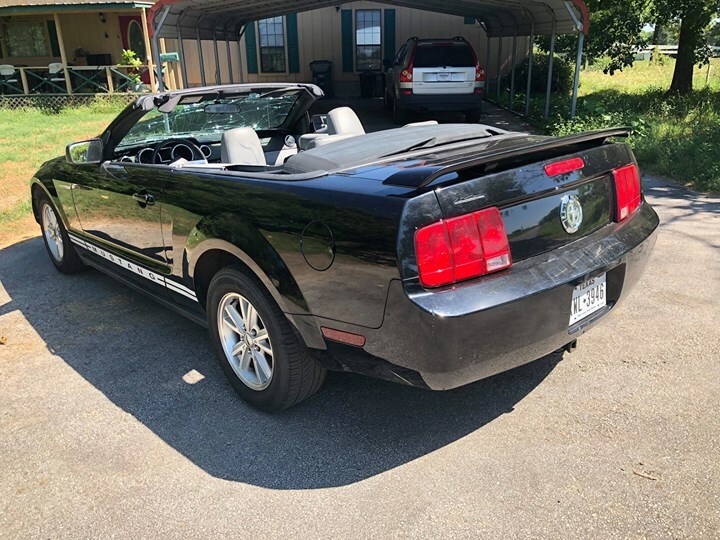 2005 Ford Mustang V6 5spd convertible no title For Sale. 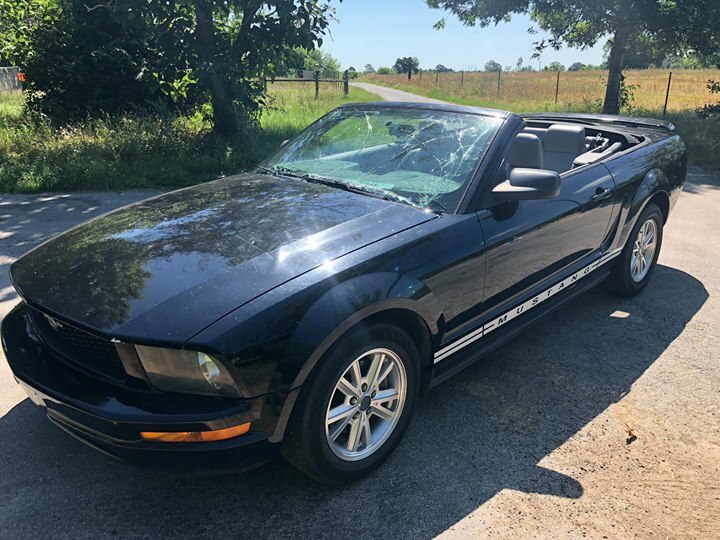 2005 Ford Mustang V6 Convertible. 5 speed manual. 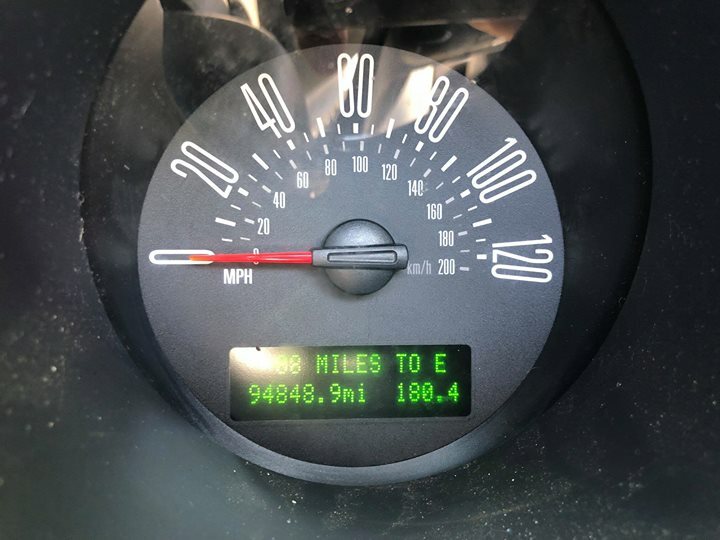 94,848 original miles. Runs, drives, stops great. Got this in on trade and don’t have a use for it. NO TITLE, but I will include a bill of sale from me to you. Plates stay with me. Being sold/traded as a project/parts/off-road only vehicle. Was driving along, hood latch broke, hood flew up and shattered windshield. Hood seems to have sustained minimal damage. Will need a new windshield. Since this happened there have been a few drips of radiator fluid coming from one of the lines. Not worth my time to mess with it. Top works, but has a few tears so isn’t water tight. 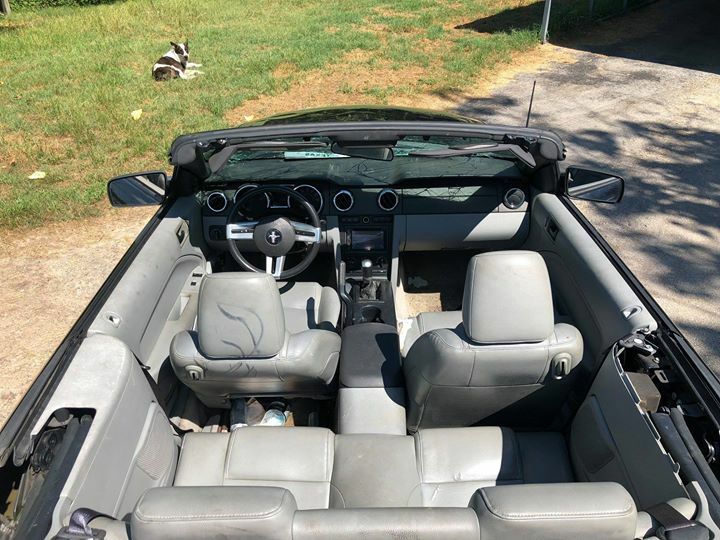 A/C works great, but is on/off only. Fan control doesn’t work. After market Pioneer AVH-280BT double din stereo included. Stereo sounds great. Price is $REMOVED FIRM cash. Or trade for something fun of equal or greater value. Anything with an engine (dirt bikes, ATV, UTV, boat, etc). We also have a need of a small tractor with a brush hog.